ICC prosecutor opens a preliminary probe into possible war crimes committed by Israel. Netanyahu: This decision is scandalous. The International Criminal Court's (ICC) prosecutor on Friday opened a preliminary probe into possible war crimes committed by Israel against Palestinians, including during last year's Gaza war, AFP reports. The prosecutor, Fatou Bensouda, said her office would conduct its "analysis in full independence and impartiality". Her decision comes after the Palestinian Authority (PA) formally joined the ICC earlier this month allowing it to lodge war crimes and crimes against humanity complaints against Israel as of April. 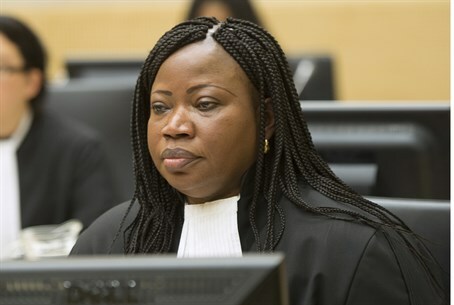 "A preliminary examination is not an investigation but a process of examining the information available in order to reach a fully informed determination on whether there is a reasonable basis to proceed with a (full) investigation," Bensouda was quoted as having said. Depending on her findings, Bensouda will decide at a later stage whether to launch or quash the investigation, based on the initial probe, the report added. Israel condemned the decision as "scandalous", as Prime Minister Binyamin Netanyahu said in a statement that since “Palestine” is not a state, the ICC had no jurisdiction over it, according to the court's own rules. The probe is "absurd" since "the Palestinian Authority cooperates with Hamas, a terror group that commits war crimes, in contrast to Israel that fights terror while maintaining international law, and has an independent justice system," Netanyahu pointed out. Foreign Minister Avigdor Liberman added that the sole purpose of the preliminary examination was to "try to harm Israel's right to defend itself from terror." In a statement he said the decision was "solely motivated by political anti-Israel considerations," adding that he would recommend against cooperating with the probe. A similar comment was made by President Barack Obama in a conversation with Netanyahu earlier this week.